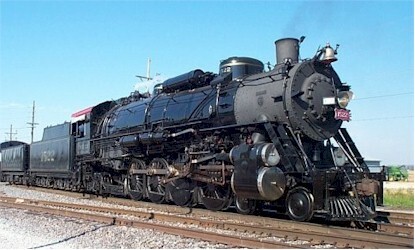 In northern Indiana, the last steam engines to run in regular service were Grand Trunk Western's. That was around 1958. The New York Central phased them out about a year before that. My father, a former railroad man, would take me to a spot near the roundhouse in the Elkhart freight yards and watch the steamers come in for servicing. I was fascinated to see the big engines being turned on the turntable. I was 7 - 8 years old. Too bad they didn't last longer, but progress marches on. Some locomotives were scrapped only a few years after being built, so impressive were the new diesels. Yep. I remember as a child heading west and the murmur on the train was "this is a new diesel electric" ... then we rode the great Denver Zephyr with the domed observation cars. Boy was that cool in the mountains. At age 5, I was the mayor of the train by the time we arrived at the destination.